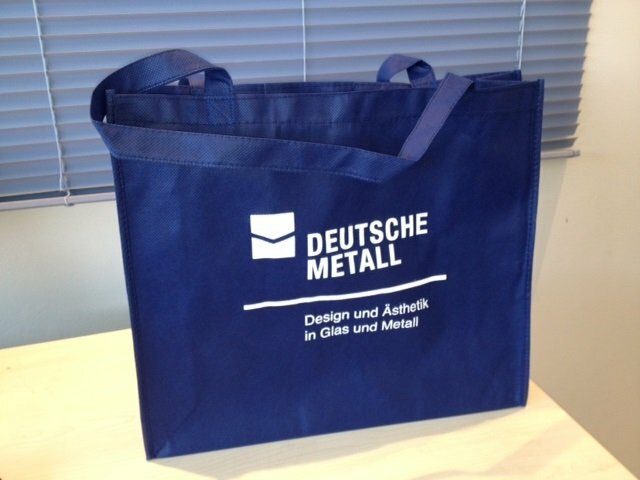 Permanent Bags are Fair Promotional Materials at Fair Prices – Printed Permanent Carrying Bags from bagobag. Permanent bags with company logos and photo designs are a part of our modern lifestyle. It's no longer unstylish to display an advertisement or a logo on your bag. Bags with printing are popular, attractive, and are happily carried daily by customers. The new expression “permanent bag” arose recently in opposition to the “throwaway bag”. Permanent bags usually bear advertisements, whether bold or subtle. Actively advertising on bags is no longer a bother for users. Customers are happy to use bags with advertisements, since the advertisement is understated and everyday – not like, for example, a bag by Louis Vuitton. It depends on the situational or personal statement: if one wants to make a cultivated, youthful understatement, one should never choose a Louis Vuitton bag. The societal cache of the understatement has transformed an aversion to using bags as promotional materials into its opposite – because advertising bags have become a mass phenomenon. Everyone uses them, they are accepted and, besides being practical, have become a chic accessory. This shows how freely customers are treated branded articles and the advertisements that go along with them; how much advertising we do to each other. Hip brands design and sell bags that look like promotional bags and that actually do advertise for their own brand – Adidas, for example. This new trend assumes that the bag, conceptualized as an advertisement, will be happily used in everyday life. Today, we display brands casually on permanent bags or iconic products of a brand, as well as football teams, city seals, photos of cities, exhibition names. Everything that belongs to our modern society is displayed in text and pictures on bags, including rock concerts, bands, eco-products, and other things. Manufacturing permanent bags is bagobag's business. We conceptualize bags according to our customers' wishes and manufacture permanent bags. Logo advertising bags made of jute, recycled materials, cotton, PP woven fabric – bags for furniture stores, marathon sport bags made of PP non woven fabric, advertising bags made of felt, and hemp are eco-friendly because of their long-lasting quality, robustness, and ability to be reused and recycled. Useful bags made of these materials want to separate themselves from disposable items practically, and not only in their images. Our “disposable culture” has become a taboo and is seen as shabby. Permanent bags replace throwaway bags like plastic bags. Among young people, we see a self-conscious, critical and positive relationship with advertising bags. Permanent bags exemplify and symbolize the postmodern, they are pop culture, make people happy, display experiences with photo printing, and are a part of big city life. Permanent bags want to take a big step towards environmental protection and associate this characteristic clearly with your brand and your customer.